Each month, with Amazon Prime I am eligible for the Kindle First program, and can download one Kindle First title for free each month, a month before its official release date. 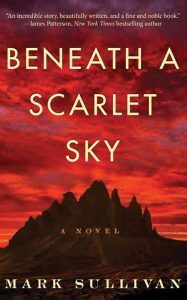 Last month, this book, “Beneath A Scarlet Sky by Mark Sullivan, was the one of the offerings, and as I enjoy historical literature I decided to give it a try. This is the one of the most incredible books I have ever read. 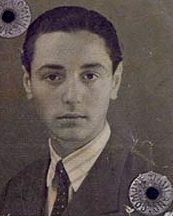 “Beneath A Scarlet Sky” chronicles the amazing events in the life of Pino Lella, a 17 year old Italian teenager, who in the short span of two years grew from a typical fun loving teen to one of the greatest unsung hero’s of World War II. In the summer of 1943, the allies began to bomb Milan, so Pino’s parents (who are in the leather goods business) send him to join his younger brother Mimo at a Catholic School in Casa Alpina, in the Alps. Here under the direction of Father Re, Pino is drafted into service of the Italian resistance, risking his own life as the first guide leading the escapes of many Nazi persecuted Italian Jews over the Alps into neutral Switzerland. When Pino is about to turn 18, his parents request his return to Milan. Fearful that he will be drafted into the Fascist army, they convince him to join the TODT Organization, which is the civil and engineering group of the Third Reich. Though unhappy about becoming a German soldier, Pino acquiesces to his parents wishes, and becomes injured. His injury leads to the appointment as the personal driver for General Leyers, the commanding general of TODT. Pino becomes a spy for the resistance…but dreams of life after the war, with the love of his life, Anna. But destiny has other plans. “Beneath A Scarlet Sky,” by Mark Sullivan is 524 pages, and was published May 1st by Lake Union Publishing. 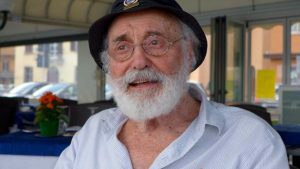 This entry was posted in nonfiction and tagged heroism, Italian resistance, Mark Sullivan, Pino Lella, TODT, World War II. Bookmark the permalink.